Steam locomotives and railroads conjure up images of a mostly bygone era. What was once the heartbeat of the Industrial Revolution, has now been reborn and repackaged, ironically enough, as an environmentally sustainable green space for outdoor recreation. Around the 1970s many railroads were abandoned leaving an industrial scar on the land and a vacant resource in desperate need of a renaissance. Stepping in to fill that void, the Rails-to-Trails Conservancy was formed in 1986 and began to convert old railroad tracks into multi-use paths. 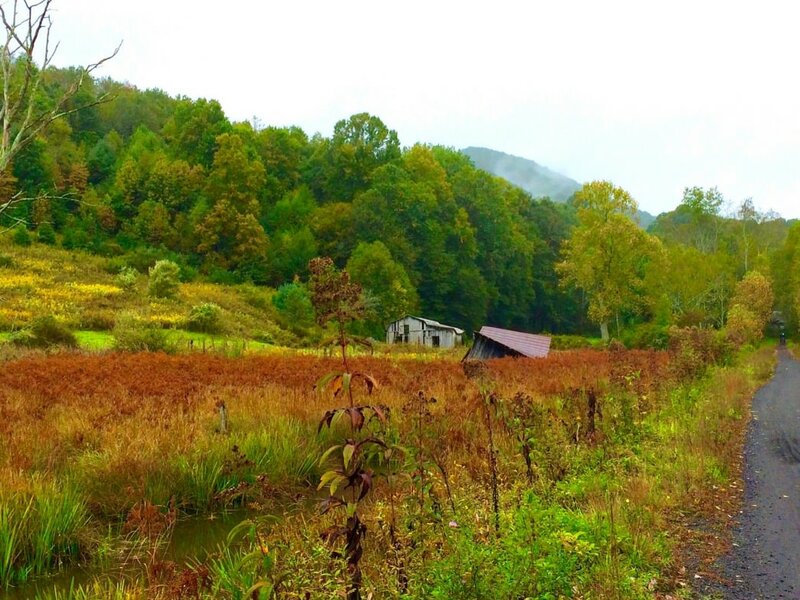 It is in this storyline that the Virginia Creeper Trail (VCT) was born. The history of the VCT is as long and twisty as a railroad itself. Where the VCT lies today was once part of the Norfolk & Western Railway’s Abingdon Line. Starting in the 1800s, trains began transporting timber from old-growth forests located atop Whitetop Mountain to a lumber mill in Damascus, Virginia. The line earned the nickname of “The Virginia Creeper” due to the sluggish speed it traveled up and down the steep mountain grades. In fact, rail workers were able to walk beside the train and pick berries before hopping back on. By the late 1920s the local lumber industry had shut down, and for the next 50 years the line served as a passenger train helping to connect the isolated mountain towns in the region. By the late 1970s, Abingdon dentist Dr. French Moore Jr. began to champion the idea of converting the defunct rail line into a trail. He met fierce opposition from some of his neighbors and locals in other towns along the line who feared the change that this new resource might bring. Moore persevered. With help from his state senator, Rick Boucher, and the backing of the National Park Service, he was able to see his vision come to fruition in 1987 when the entire 34.3-mile Virginia Creeper Trail was opened to the public. Today the VCT is considered one of best rail trails in the eastern United States, regularly attracting thousands of visitors each year. That tourism traffic has turned the towns of Abingdon and Damascus into recreation hubs, providing a base of operations not just for the Creeper Trail but for Southwest Virginia’s other outdoor hidden gems. Areas like Mount Rogers National Recreation Area, Grayson Highlands State Park, and Iron Mountain Trail are all easily accessible from these towns and offer plenty of options for a multi-day trip to the region. The VCT is tucked into a sparsely populated corner of Virginia and runs from Abingdon to Whitetop Mountain on the Virginia/North Carolina border. Hikers, bikers, and equestrians share the crushed-limestone and hard-packed dirt trail. It’s extremely popular with families looking to have an all-day, or even overnight, bike trip. Kids will love the downhill, coasting friendly nature of the trail from Whitetop to Damascus. At times the trail parallels Whitetop Laurel Creek through a deep narrow gorge where there are both spectacular whitewater rapids and the occasional quiet swimming hole. At other times the trail crosses trestles, some of which are more than 500 feet high and afford insanely beautiful views of the surrounding countryside. White steeple churches and homes from an early era dot the landscape as you enter and exit towns. Another draw of the VCT is the availability of rental bikes and shuttles. How does a 17-mile downhill ride sound? Several outfitters will rent you the bikes and shuttle you to Whitetop Station where you can cruise back to Damascus, aided significantly by gravity. 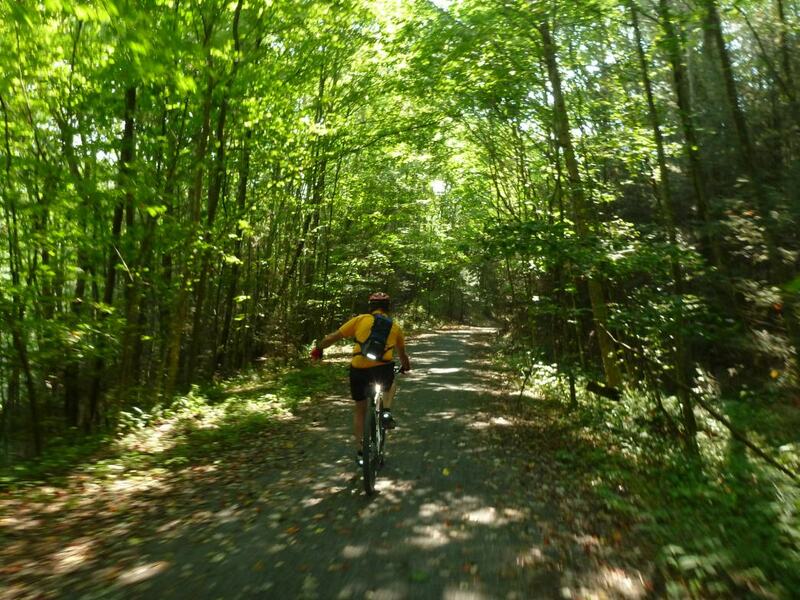 Or take the full 34-mile ride all the way back to Abingdon to experience the entire trail. 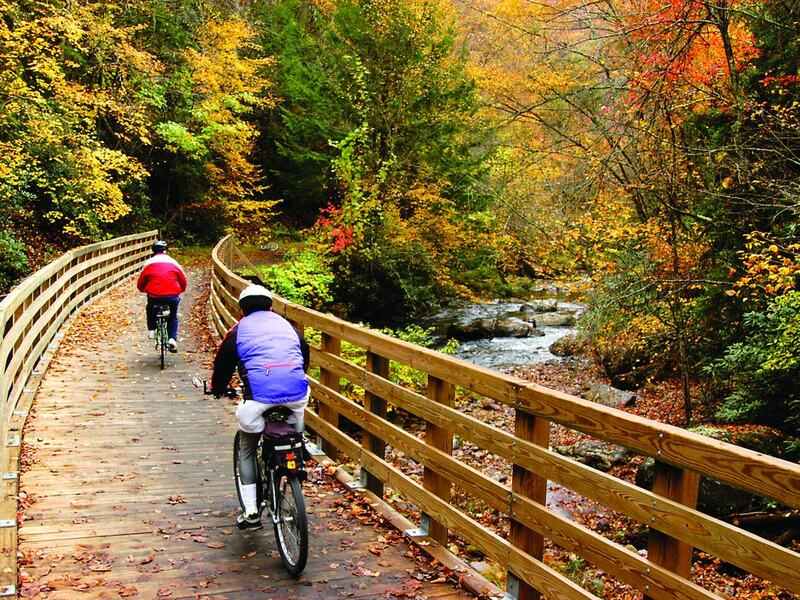 In Abingdon the Virginia Creeper Trail Bike Shop will provide everything you need. In Damascus, you’ll find a half dozen outfitters providing shuttle services and bikes to help you enjoy the trail. As much as the VCT is a tour through nature, you are never too far away from amenities. Every 8 miles or so there is a restaurant and restrooms. Damascus and Abingdon are the two biggest towns and offer a wide range of options. 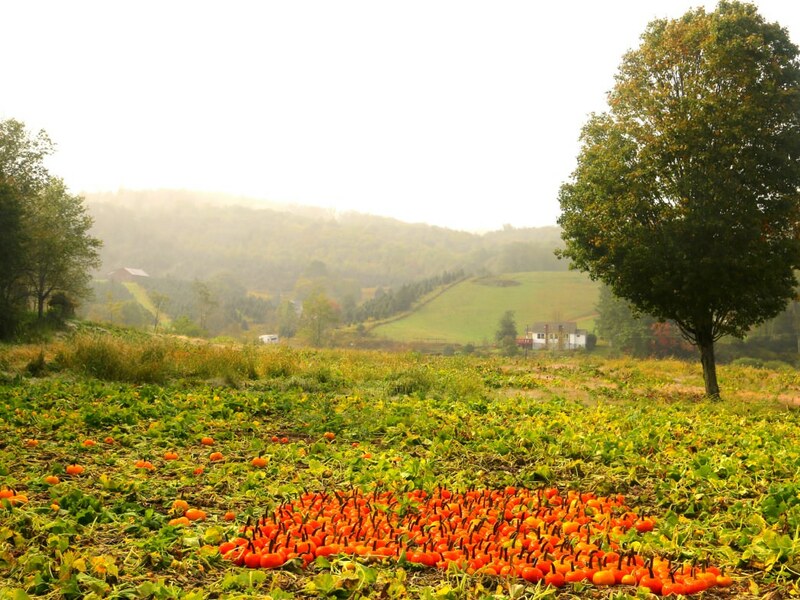 Creeper Trail Café, Mojo’s Trailside Café and Coffeehouse, and Damascus Old Mill are located in Damascus. Old Alvarado Station is located halfway between Damascus and Abingdon. These are popular spots and cover all the bases for food and drinks. In addition to the bike outfitters in the region, Sundog Outfitters in Damascus and Highland Ski and Outdoor Center in Abingdon offer a wide assortment of backcountry goods for those taking to the trail. Piggybacking on the popularity of the VCT, local fly fishing, rafting, and zipline outfitters have sprung up making the area even more vacation-worthy. If you are an avid mountain biker who seeks out backcountry adventure, you would be hard pressed to find a better area to ride. There are tons of gnarly ridgeline trails (Iron Mountain being the most popular, but only one of many) that are kept in great shape by motorbikes, but are just as fun on mountain bikes. Boulderers will find a few gems along the VCT and a lifetime’s worth of projects in Grayson Highland State Park. Sport climbers and trad climbers will be amazed at the quality of the sandstone found at the recently re-opened Hidden Valley, near Abingdon. The VCT is growing in popularity and every year more and more visitors discover what this region of Southwest Virginia has to offer. Folks like Lawrence “The Legend” Dye, who has spent the better part of 25 years advocating for the Virginia Creeper trail by riding it daily, logging nearly 200,000 miles on it. The trail has replaced the locomotive culture that once was the lifeline of the region. The famous steam locomotive photographer O. Winston Link chronicled the Norfolk and Western line, with his most famous photograph titled, “Maud Bows to the Virginia Creeper.” This photo documents the definitive end of the horse-drawn buggy era and showcases the new “steel horse” era. Coincidentally, I’d like to think if Link were still around today he would snap another photograph highlighting one of the many steam locomotive relics alongside the VCT, bowing to the human-powered transport found on the trail today.